General: In general this card points to a need to narrow your focus. When it appears, you are probably trying to do too much, and doing most of it not very well. Choose just a few of the myriad things that are on your plate, and work through these items one by one, carefully. You may be feeling overwhelmed. Remember that you can control at least in some areas, how much you are trying to take on. Work: If a business or work deal seems too good to be true, it probably IS too good to be true. Watch where you put your money and who you put your trust in. If you work (or want to work) in a creative field of some kind, this is an excellent omen for making good progress, however if your job or field is more precise, mathematical, and business like, this energy carries the warning that you may be spending too much time with your head in the clouds and need to refocus. Love: You may have several romantic choices at hand. Be clear and specific about what you want in a relationship, evaluate your choices thoughtfully, be honest and as clear as you can be with all people involved (including yourself) then move ahead. Beware falling in love with the "heady rush" that happens only at the beginning of a relationship. In no relationship does that rush last forever. Good relationships, even soul mate relationships, will settle into a less "rush-based" comfort zone at some point. That does not mean that you have to stay in a rut. Finances: This is not a good time to make financial investments. If you must, consult a professional or do a lot of homework, first. You may be too scattered businesswise (and this holds true particularly if you own your own business.) For maximum return, focus your efforts. Health: Any symptoms that you are experiencing may be at least partially due to a lack of being grounded, but of course consult your doctor to be sure. Keep a journal of your symptoms and also of your thoughts. Physical exercise will help you stay grounded. 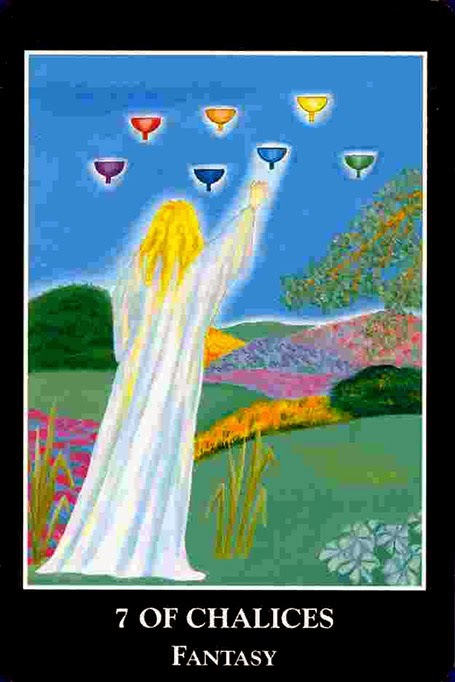 Spirituality: Visualize your most important goals and desires being met. Use positive affirmations and/or treasuremapping to help make your dreams come true. Keep a positive attitude. If you need help doing so, reach out for it. There are plenty of positive influences available to you, you just need to know where to look.